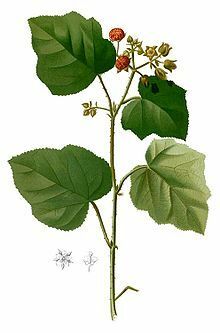 The Broad Leaf Bramble or rubus moluccanus can be found in Queensland and Victoria. It is a climbing plant that produces red and white flowers and heart shaped leaves. Able to reach a height of ten metres, it grows a tasty fruit that looks very similar to a raspberry.